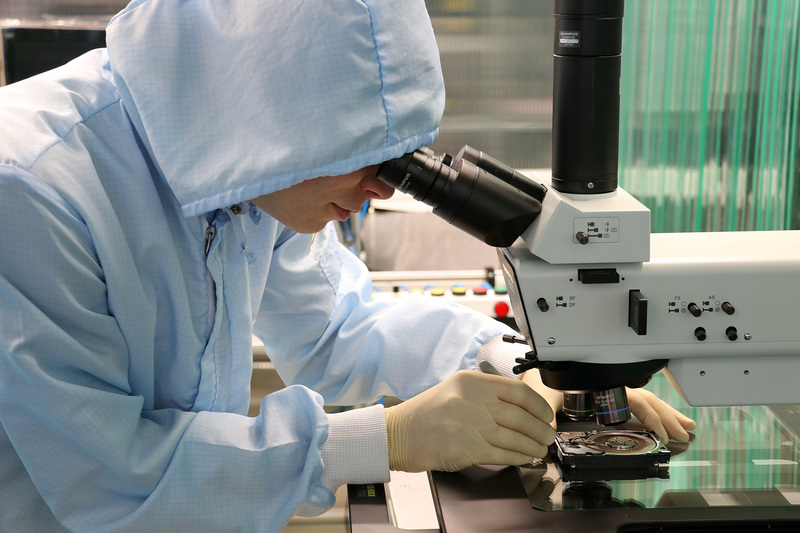 We are the largest laboratory for data recovery in the Czech Republic. Professional data recovery requires special equipment and also very clean rooms where to open the disks. Due to their high cost the highly equipped laboratory cannot be constructed in several cities. That is the reason why we provide free haulage of damaged media from across the Czech Republic and Slovakia to our central laboratories. 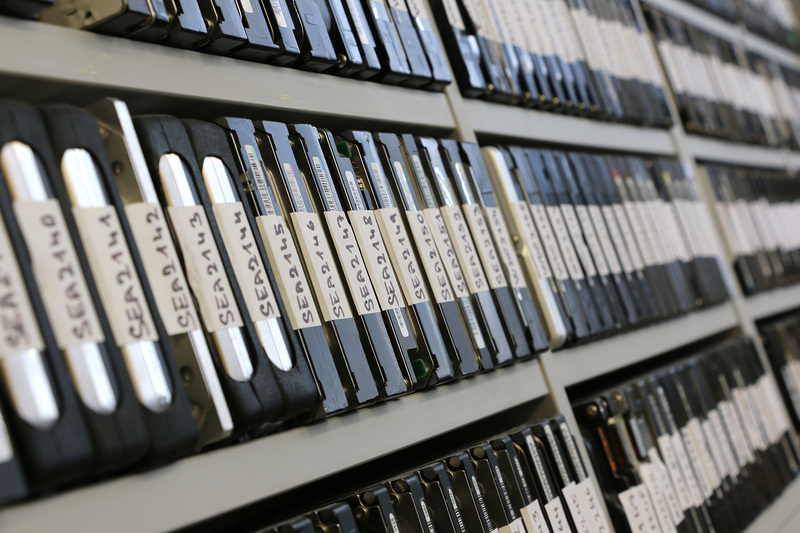 We process orders for other services and companies offering data retrieval and recovery. 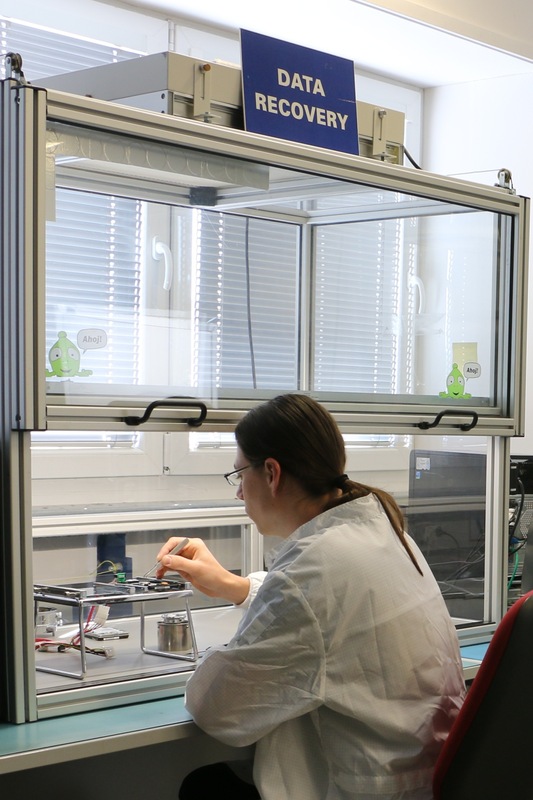 As the only laboratory for data recovery in the Czech Republic, we have a two-level dust-free room - Cleanroom sit cleanness of class 1,000/100 (ISO 6/5) with an area of 100 square meters. 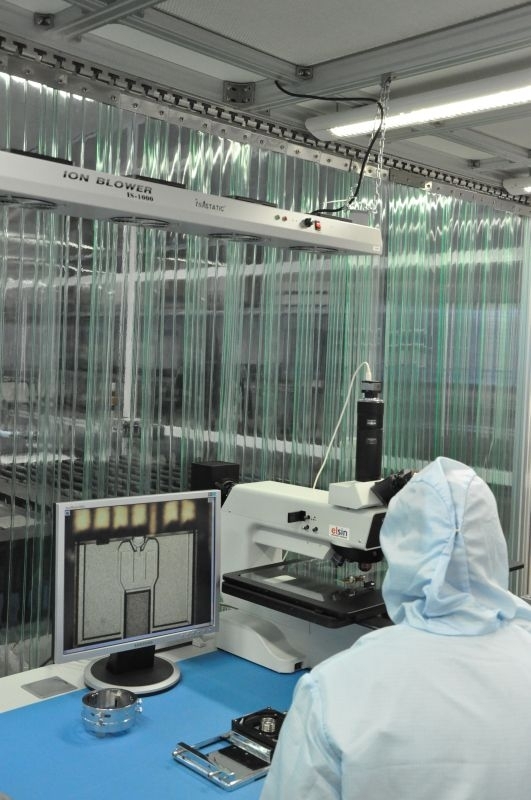 Our rooms with special filters can be kept cleaner 10000 times than standard rooms (for example, only 29 dust particles with size of 5 micrometers are allowed in one cubic meter while there are more than 300,000in standard rooms). 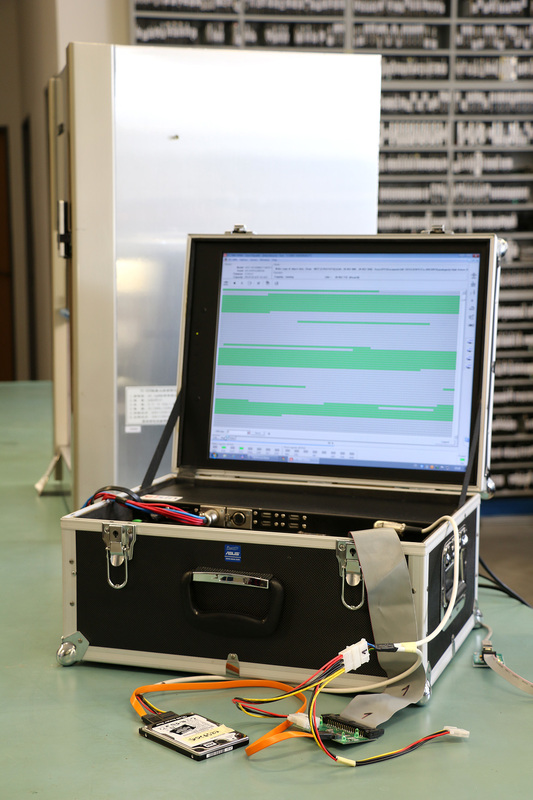 Control measurements are performed by a laser particle counter. 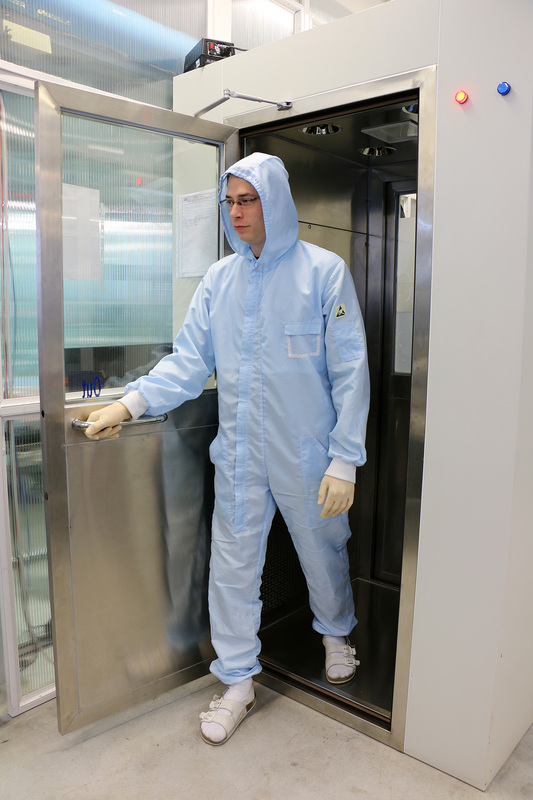 To remove loose contamination from workers‘ overalls and materials, it is necessary to pass through an airlock with air shower before entering the cleanroom. The premises are kept under a constantslight overpressure, which prevents their spontaneous contamination from the environment. Data media are very sensitive to electrostatic surges. 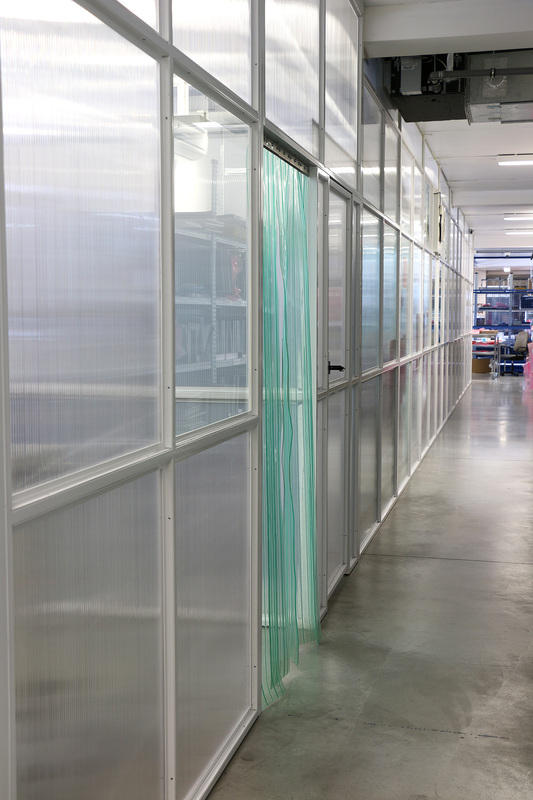 Protection against electrostatic phenomena in our laboratory is ensured by full EPA according to IEC 61340-5-1 (floor, tables, work clothes) and by additional ionizers disintegrating static charges on surface areas. In addition to the dust-free room, we also use a series of dust-free boxes for fewerdifficultservices. We also have a small portable dust-proof box and a portable device for data recovery to work directly at customers‘ house or building. We use a special device enabling access to the disk in a manufacturer mode and thus we can not only diagnose disk error conditions but also interfere with the production of service marks and change important parameters of the disk (see.Technical details). We have several of these very expensive devices and thus we are able to process in parallel more than 10 contracts consisting of severely damaged disks. We use automated workstations when the reading of damaged data takes several tens of hours. 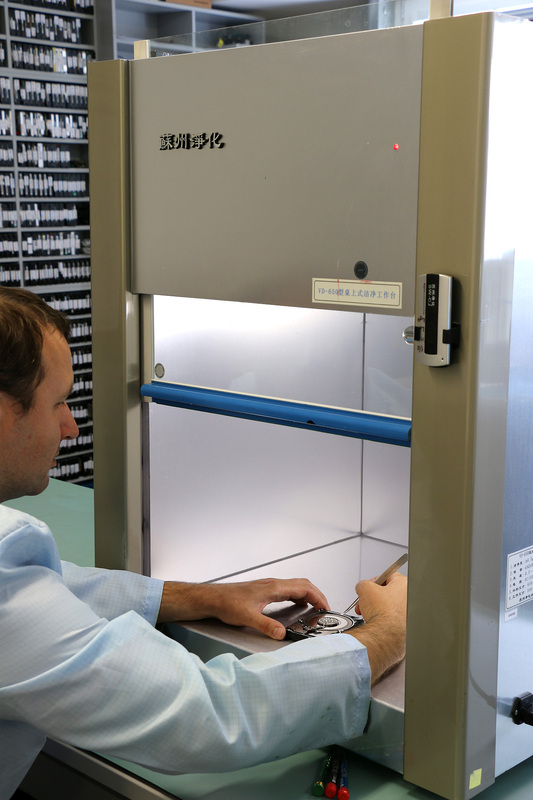 They continuously monitor and evaluate the state of the reading, and if a problem occurs, they stop the whole process and prevent further damage to the disk. 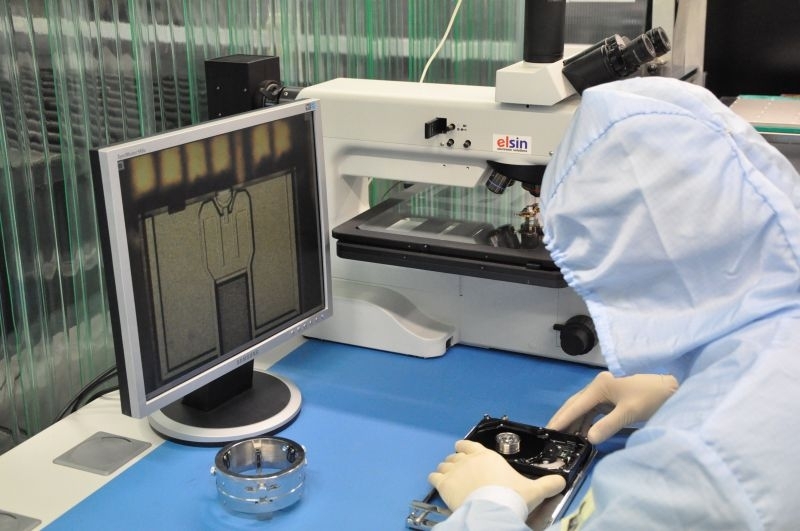 During data recovery from mechanically damaged device,we also use a special microscope (price around the one of a higher class vehicle), which enables accurate diagnosis of the mechanical damage. 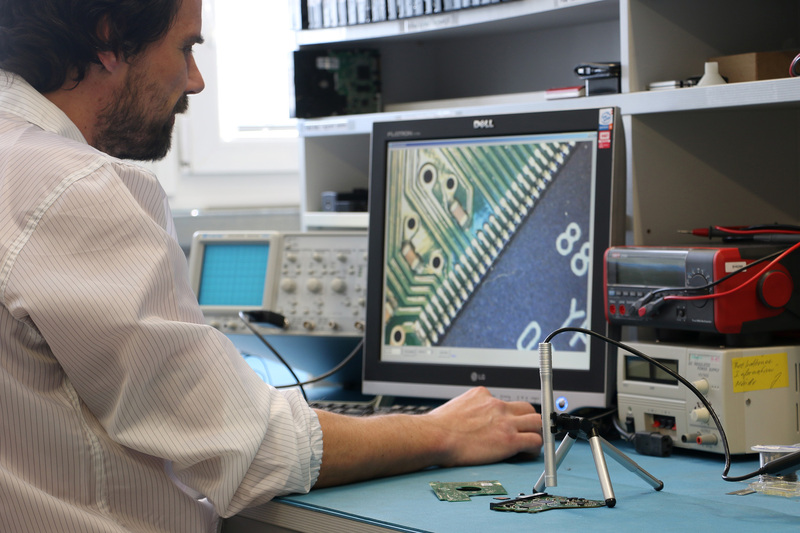 Our engineers have available a range of oscilloscopes, soldering stations (mikrosolderers and hotair), BGA soldering stations, precision multimeters and other equipment for data recovery from failed drive electronics.